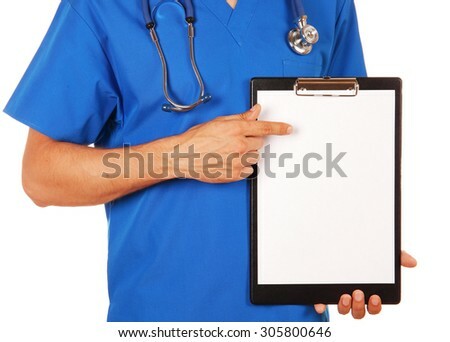 Foto stock: Enfermeira · médico · clipboard · assinar · médico / Medical sign. 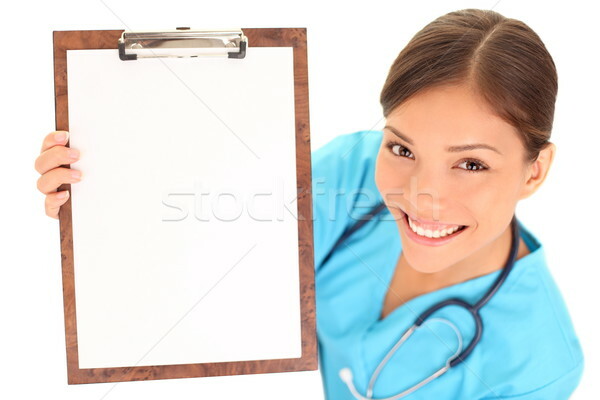 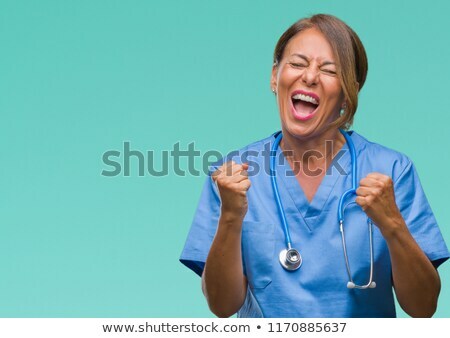 Young woman doctor / nurse showing empty blank clipboard sign with copy space for text. 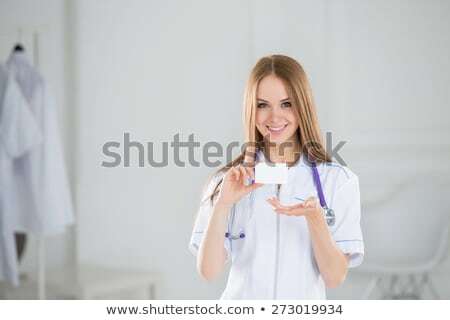 Mixed race asian caucasian female model isolated over white background.